Hours: Monday - Friday, 10 AM - 1 PM and 3 PM to 6 PM. Saturday 10 AM - 1 PM. Sunday Noon - 1 PM. San Carlo Alle Quattro Fontane is a Roman Catholic church at the southwest corner of the intersection of Via di Quattro Fontane and Via 20 Settember, where the Four Fountains are located. 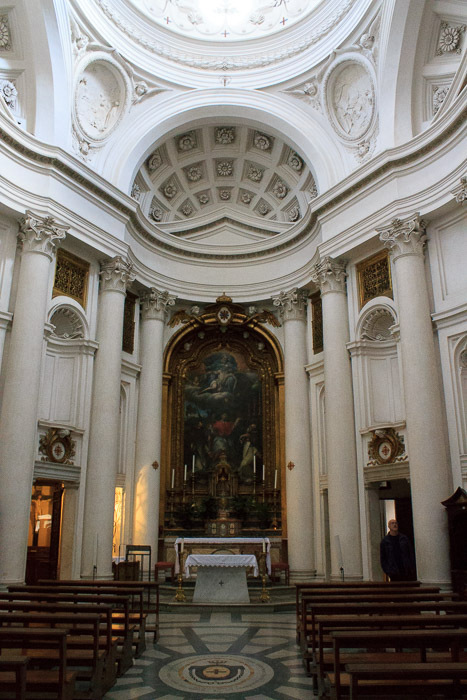 Built between 1638 and 1641 and designed by Francesco Borromini, it is a baroque masterpiece of curved surfaces; there is hardly a straight line to be found in the church. The curved theme begins on the outside, where the front of the church is formed from convex and concave surfaces rather than a flat decorated surface. 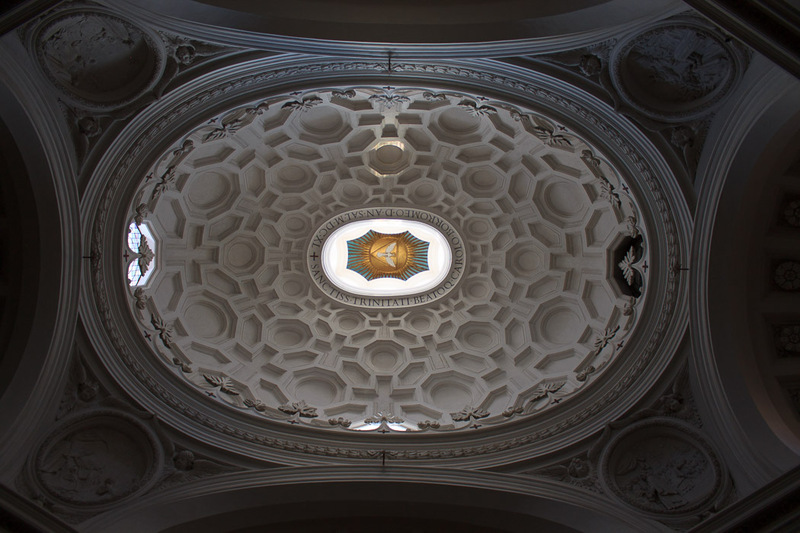 Inside, the curves continue with decorative Corinthian columns supporting curved stones which transition into curved arches and swirls which support an oval-shaped dome decorated with circles, octagons, and other geometrical designs. Although there isn't much in terms of spectacular artwork in the church, the church itself is a piece of art that's well worth a peek inside if you're in the neighborhood. See all San Carlo Alle Quattro Fontane photos.